We're delighted to share with you this fruity, juicy delight! Vapouriz's Raspberry e-liquid is succulent, sweet and fragrant. It is so wonderfully mouth-watering that you'll forget you're even vaping! 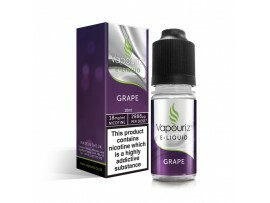 This flavour works well when paired with our other e-juices and is sure to be firm favourite amongst the fruit-ists out there. Why not combine with our mint or menthol flavours to add a little bite? Or you could add other fruit flavours such as strawberry to complement it's fruityness!